Topics | Namiki Precision Singapore Pte. Ltd. Adamant Namiki Precision Jewel Co., Ltd. will participate in the exhibition RoboDEX - 3rd Robot Development & Application Expo. will participate in the exhibition Parking System Expo 2018.
will participate in the exhibition Photonics West 2018.
will participate in the exhibition MEMS SENSING & NETWORK SYSTEM 2017.
will participate in the exhibition Semicon Taiwan. will participate in the exhibition CIOE 2017.
will participate in the exhibition Laser World of Photonics 2017. We will participate in the exhibition Microelectronics Show 2017. We will participate in the exhibition SPS Parma. We will participate in the exhibition Innorobo Paris. with support of Aomori Prefecture and Aomori Support Center for Industrial Promotion. will participate in the exhibition IoT/M2M EXPO Spring. will participate in the exhibition Communic Asia 2017.
will participate in the exhibition Energy Harvesting Europe 2017.
will participate in the exhibition FOE2017. will participate in the exhibition OFC2017. We will participate in the Hasselt Diamond Workshop. will participate in the exhibition Electronica China 2017.
will participate in the exhibition Photonics West 2017.
holiday season and throughout the New Year. Biophygigal Society of Japan, 2016. Molecular Biology Society of Japan, 2016. Adamant Co., Ltd. a member of Namiki Group, will participate in the exhibition MWE2016. Adamant Co., Ltd. a member of Namiki Group, will participate in the exhibition SPS IPC Drives. We will participate in the International Conference on Diamond and Carbon Materials. Adamant Co., Ltd. a member of Namiki Group, will participate in the exhibition ECOC 2016. Adamant Co., Ltd. a member of Namiki Group, will participate in the exhibition CIOE 2016. Adamant Co., Ltd. a member of Namiki Group, will participate in the exhibition Sensor Expo Japan 2016. Adamant Co., Ltd. a member of Namiki Group, will participate in the exhibition Semicon Taiwan. Japan Society for Cell Biology. We will participate in the exhibition CLEO 2016.
will participate in the exhibition CLEO 2016.
will participate in the exhibition Communic Asia 2016.
will participate in the exhibition Medtec 2016. We will participate in the exhibition JSAP Spring Meeting 2016.
the Phamaceutial Society of Japan. will participate in the exhibition TECHNO-FRONTIER 2016.
will participate in the exhibition Laser World of Photonix CHINA. will participate in the exhibition Semicon China. will participate in the exhibition Photonics West 2016. Season's Greetings! We would like to wish you all the best during this holiday season and throughout the New Year. Please click on the link below to see the Season's Greetings from Namiki group. We will participate in the Pacifichem 2015 to be held in Honolulu as a sponsor. We will participate in the exhibition Pan-exibition Wash and Clean 2015. Annual Meeting of the Biophysical Society of Japan. We will participate in the exhibition MEDICA 2015.
will participate in the exhibition Semicon Taiwan 2015.
will participate in the exhibitionLASER World of INDEA 2015.
will participate in the exhibition ECOC 2015.
will participate in the exhibition EuMW 2015.
will participate in the exhibition Semicon West 2015. We will participate in the exhibition Sensors expo 2015.
will participate in the exhibition Sensors expo 2015.
will participate in the exhibition Laser World of Photonics 2015.
will participate in the exhibition CLEO 2015.
will participate in the exhibitionnanomicro Biz. will participate in the exhibition FOE 2015.
will participate in the exhibition IMS 2015. Please click on the link below to see the Season's Greetings from Namiki group. We will participate in the exhibition MEDICA. We will participate in the exhibition COMPAMED. LASER World of PHOTONICS INDIA. will participate in the exhibition CIOE2014. will participate in the exhibition ECOC2014. will participate in the exhibition Cable-Tec Expo'14. We will participate in the exhibition MD&M Chicago. Adamant Co., Ltd. a member of Namiki Group, will participate in the exhibition Semicon West. We will participate in the exhibition Zairyo Festa in Sendai. will participate in the exhibition Semicon West. will participate in the exhibition Smart Community Japan 2014.
will participate in the exhibition IMS2014. We will participate in the exhibition MEDTEC Europe. will participate in the exhibition nanomicro biz. will participate in the exhibition FOE 2014. Location: ICC London ExCeL, UK . will participate in the exhibition SEMICON Taiwan 2013. Location: Moscone Center, San Francisco, U.S.A.
We�fre introduced on TV Tokyo "WORLD BUSINESS SATELLITE--waza-ari! Japan". We will participate in the exhibition SEMICON CHINA 2012. We will participate in the exhibition Automatica 2012. We will participate in the exhibition MD&M West(Medical Design & Manufacturing West 2012). Company website available in German. starting on Nov. 9th (Wednesday), 2011.
starting on September 19th(Mon), 2011 .
starting on September 7th(Wed), 2011 . "The Rising Sun--Tracking Japan's IndustrialHistory". Tune in to BS premium for this special coverage. Akita and Yokote factory now have power and have re-started our production. However, we will be having a schedule power outage, from now on. We would like to thank for receiving many sincere words from our customers, suppliers, friends and families. As for Namiki Group, Akita, Aomori, Yokote Factories are safe including all of our employees, buildings, machines and equipments. As for the black out, our Aomori Factory is up and running from 7am of March 12, but for Akita and Yokote Factory, we are still suffering from the power outage, but we will begin to manufacture as soon as we have power. Thank you and we appreciate all of the support. Shanghai New International Expo Center, China starting on March 15th(Tue), 2011 . We will participate in the exhibition MD&M Florida(Medical Design & Manufacturing Florida 2011). Adamant Kogyo Co., Ltd. a member of Namiki Group, will participate in the exhibition OFC/NFOEC 2011 to be held at Los Angeles Convention Center starting on March 8th(Tue), 2011 . We will participate in the exhibition MD&M West(Medical Design & Manufacturing West 2011). Location: In front of the grand council room, 4F, Nagaragawa Convention Center. We will participate in the exhibition PATENT SOLUTION FAIR 2010, starting on October 13th (Wed.), 2010. Our company infomation is introduced on the "Success story page" Switzerland Trade & Investment Promotion website. Adamant Kogyo Co., Ltd., a member of Namiki Group, will participate in the exhibition CIOE 2010 to be held at Shanzhen Convention & Exhibition Center starting on September 6th (Wed.), 2010.
the Europe's leading exhibition related to optical communications. We will participate in the exhibition JAIMA EXPO 2010 / SIS 2010, starting on September 1th (Mon. ), 2010. Namiki Precision of Europe SA was introduced on the DEV CANTON DE VAUD - SUISSE, Annual Report2009. to be held at Tokyo Big Sight starting on June 30th (Wednesday), 2010. Our new European Operation opens in Lausanne, Switzerland. The website of Namiki Precision (Shanghai) Co., Ltd. has been launched. We hope visitors will have a better understanding of our products and services. We will participate in Map 2009 to be held at JAL Resort Sea Hawk Hotel Fukuoka, Japan starting on Nov. 11th (Wednesday), 2009. 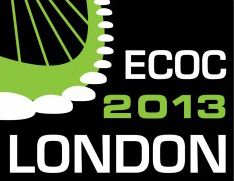 Adamant Kogyo Co., Ltd. will participate in ECOC 2009 to be held at Austria Centre starting on September 21th (Monday), 2009. We will participate in PATENT SOLUTION FAIR 2009 to be held at Tokyo Big Sight starting on Nov. 25th (Wednesday), 2009. We will participate in International Robot Exhibition 2009 to be held at Tokyo Big Sight starting on Nov. 25th (Wednesday), 2009. Thai page of Namiki Thailand has been launched. to be held at Taipei World Trade Center starting on Aug 5th (Wednesday), 2009. Chinese page has been launched. Namiki Precision (Thailand) Co.,Ltd. awarded ISO 13485:2003, ISO 9001:2008, ISO 14001:2004 accreditation. to be held at Tokyo Big Sight starting on July 29th (Wednesday), 2009. Date: July 29(Wed) -31(Fri), 2009 10:00a.m. - 5:00 p.m. The website of Namiki Precision of Singapore Pte Ltd. has been launched.